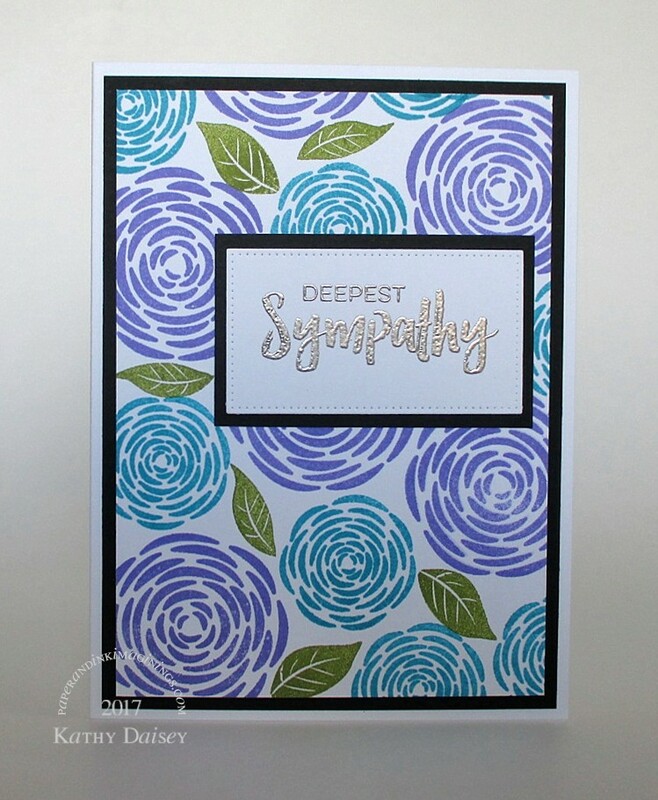 My Favorite Things released a new sympathy stamp set in the fall. Some of the sentiments have bold brushstroke elements. I decided I needed to add it to my collection – my Papertrey Ink sympathy stamp set is wearing out. Supplies: Stamps – Hero Arts, My Favorite Things, paper – Neenah Classic Crest Solar White, Stampin’ Up! Basic Black, inks – Stampin’ Up! Lovely Lilac (retired), Old Olive, Tempting Turquoise, VersaFine Onyx Black, die – My Favorite Things, embossing powder – Ranger Liquid Platinum. Categories: card, sympathy | Tags: card, Hero Arts, My Favorite Things | Permalink. Making a sympathy card with colour is a great idea. Doesn’t always have to be muted tones, right? Super job. This is a beautiful card. =) I think your customer will love it. Thank you! Thanks so much for stopping by! Thank you so much, MelissaAnn!